You know how I love to nap on weekends. And blog. And go to restaurants. And nap some more. This past weekend, I really didn’t do much of those things. I thought I’d be cranky about the change to my comfy routine, but instead I really enjoyed myself. On Saturday, I had brunch with my buddy Walt from Bowery Collective at The Wren. We talked about Whiskey Washback. Then my friend Melissa and I saw Kanye West at Madison Square Garden. 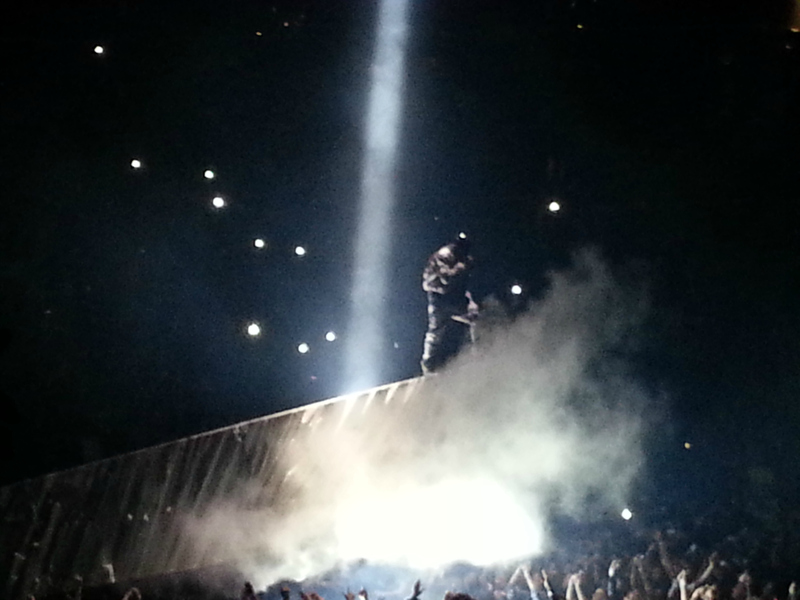 It was my second time seeing the Yeezus tour. More on that soon. 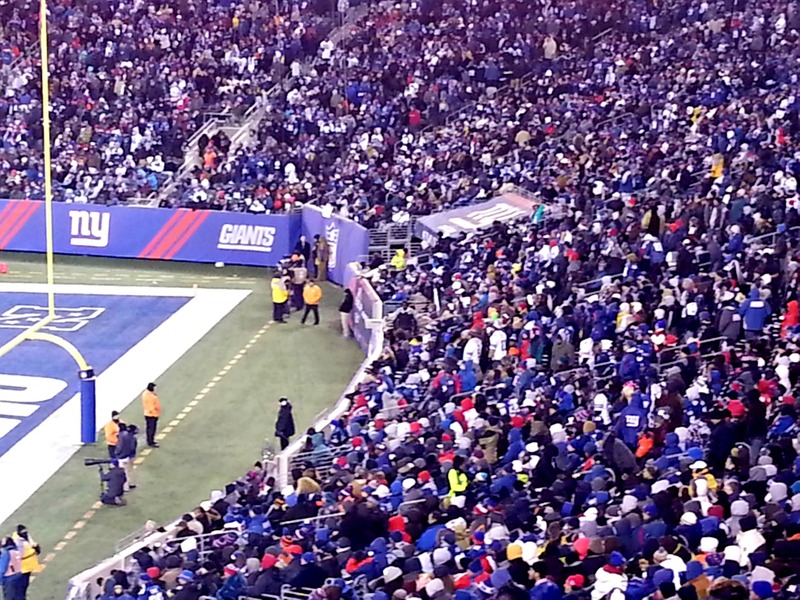 On Sunday, I headed to New Jersey to meet up with my mother at the Giants game. It was so good to see her. Now that I’m home, I wish I could have just hitched a ride home to Pennsylvania with her for an early start to Thanksgiving. I also had tickets to Sleigh Bells at Terminal 5. Sadly my flight back from Boston was canceled and I wasn’t able to get back in time. I blogged about a Sleigh Bells show here. Don’t worry: I’ll get back to my napping come Thanksgiving. This entry was posted in Life stories, Music and tagged brunch, concert, Giants, Kanye, Madison Square Garden, Mom, MSG, Music, sleigh bells, The Wren, West, Yeezus on November 25, 2013 by onechicklette.